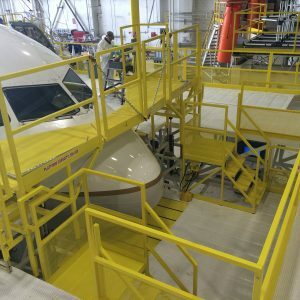 DAE Industries has provided docking system solutions to nearly every leading domestic airline, to the largest logistics companies in the world, and to Air Force bases across the country. Our process tailors the docking system to your specific facility and airframe requirements. 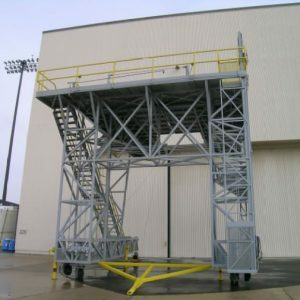 All docking systems are built with high grade structural steel and/or aluminum, heavy-duty casters, skydrol resistant paint, no-slip tread, and feature a multitude of options for your specific maintenance requirements. Let our staff apply decades of experience to deliver a customized system that saves maintenance time and improves working conditions for your team. 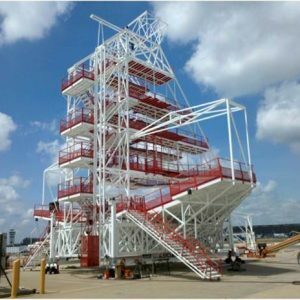 The installations below are just a sample of dozens of systems DAE has designed and installed at commercial and military maintenance bases across the United States.